Below are some common questions our customers frequently ask us. If you need more information, don't hesitate to call us and speak directly to a member of our team at 503-644-8111 today! Do you only work on vehicles with automatic transmissions, or can I bring in my manual transmission? Absolutely. 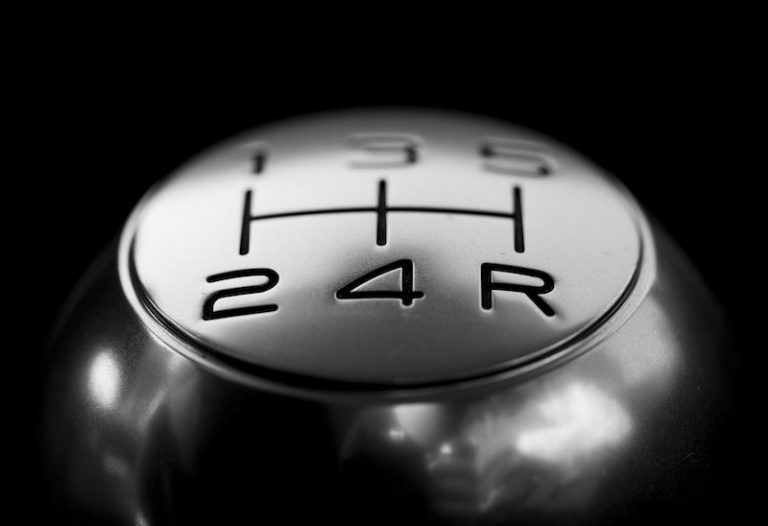 Our trained and ASE Certified Technicians can work on both automatic and manual transmissions. Beaverton All Transmission & Auto Repair has been around for more than 50 years, our experience, knowledge and training allows us to work on a wide variety of domestic and foreign vehicles, along with custom and specialty vehicles. I am thinking of buying a new car, can I bring it in and have you take a look at it? Yes, we’re more than happy to over a simple inspection to evaluation the condition of a vehicle. Keep in mind, that without driving it for an extended period of time, we fully know all the issues a used car, truck, van or SUV might have, but we can absolutely tell you what we find from an inspection. You can also call the shop for a phone consultation at 503-644-8111. We’ve been at this long enough that we can often tell if there could be issues just by asking the right questions over the phone. That could save you a great deal of time and hassle. And if we think we need to inspect the vehicle in person, we’ll let you know. Either way, our team is happy to help you determine if a particular used car is the right purchase for you. Does Beaverton All Transmission & Auto Repair accept credit cards? We do indeed. For your convenience we accept Visa, Mastercard and Discover. We also accept cash, personal checks, business checks and cashier’s checks. Do you need to know every little problem my car is having, or just the major issues? Simply put, the more we know, the better! We find it’s pretty common for potential customers to not want to give all the details of the issues they’re having with their vehicle. This is usually because they’re concerned that if they tell a shop too much, they’ll be charged to much. So customers often hold things back to see if the shop will catch it. This can also come from feeling of not wanting to sound ignorant or silly to a shop. At Beaverton All Transmission & Auto Repair, we are 100% committed to providing the highest quality work at affordable prices. This means we only work on the problems that we actually identify. So just because you say your brakes feel off and your steering wheel is tight, doesn’t automatically mean we’re going to tell you that you need new brakes and we’ll have to replace your power steering. And you should NEVER feel silly telling us what issues you’re perceiving with your vehicle. We’re here to ensure your vehicle operates properly and safely. So let us know all your concerns so we can best diagnose what’s happening with your vehicle. Also, sometimes we can troubleshoot over the phone and determine you don’t actually need to bring your car in for repairs or maintenance. We pride ourselves on honesty and integrity, so if we don’t need to charge you, we won’t! Just remember us when you do have a transmission or auto repair issue that needs attention. Do you offer free diagnostic scans on transmissions? Yes we do. We’ll run a computer diagnostic on your transmission and essentially give you and hour of our time at no charge. What about non-transmission issues, do you offer free diagnostics on other areas of a vehicle? In many cases yes. Customers regularly bring their vehicles to our shop and ask if we can check their brakes or drive their vehicle to see if the engine gives us the same problem(s) they’re having. With these types of issues we’re happy to offer a free inspection to determine if there’s a problem and what it is. I found a better deal with one of your competitors, will you match it? We’d love say yes across the board but the reality is we have to evaluate each competitor estimate on a case by case basis. For some services like regular maintenance and servicing, it’s ease to quote a price over the phone and offer possibly offer a discount to match our competition. But there are some shops out there that offer low-ball pricing because they aren’t using certified technicians or they don’t have the training and experience to correctly estimate the costs to repair a specific issue or issues with your vehicle. With that being said, we’d love the chance to look at a competitor’s estimate and see if we can match it or offer you a better price. I looked at your services pages and didn't see what I need listed, can you help me? We work with many different types of shops throughout the Beaverton and PDX area and we’re more than happy to refer you to a shop we know and trust for services we don’t offer. Give us a call at 503-644-8111 and let us know what problems or issues you’re experiencing. We’ll be glad connect you to one of our trusted referral partners. My car is a make and model not listed on your website, can you help me? Most likely yes. We work on all types of makes and models, foreign and domestic. With over 50 years in the transmission and automotive field we’re able to work on a wide variety of vehicles. Whether it’s high end or a junker, a hot rod or a cargo van, a classic car or specialty vehicle, Beaverton All Transmission & Auto Repair can likely help you – whether it means dropping your vehicle off at our shop, or giving you a referral to another shop we trust. Beaverton All Transmission & Auto Repair is here for our customers Monday – Friday from 8:00 AM to 5:00 PM. We are closed Saturdays and Sundays. If you need to drop off your vehicle after hours or over the weekend you can use the key drop at the front door.